The Wright Institute has been educating clinicians for more than 40 years. Each program is distinct and the admissions process is designed to help us identify and select candidates who we feel will be the best fit for our programs. While we do have specific admissions requirements we take a holistic approach to our evaluation of applicants and examine all criteria evenly. 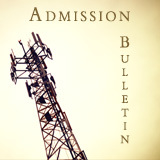 Contact the admissions office: admissions@wi.edu, 510.841.9230. Come meet us at a recruitment event near you.